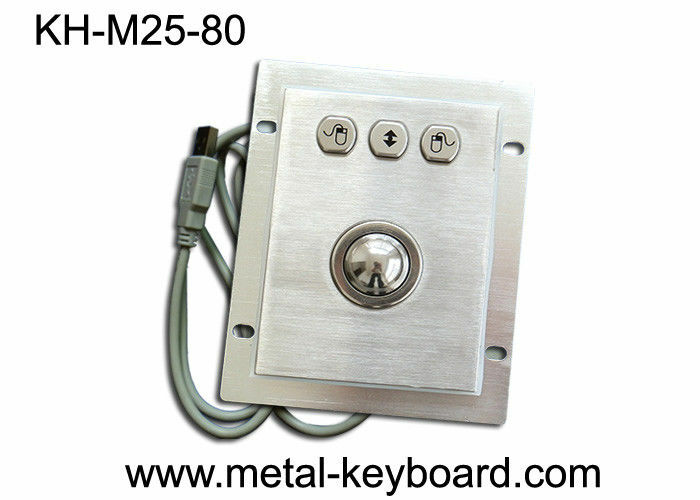 Stainless Steel Panel mount Trackball Pointing Device, IP65 rated Industrial stainless steel trackball, 3 mouse buttons designed for right, left scrolling keys, rear aluminum panel w/hole mounting solution. > All metal machinery provide for rugged, smooth, long lasting and no noisy operation. > Stainless steel ball for smooth, quick and durable operation and precise cursor positioning. IP65 Rated Industrial Computer Mouse is mainly Using the existing mouse driver and mouse software Interfaces for most workstations and computers. It’s meet NEMA 4, 4X and IP 65specifications, making them vandalproof, resistant to dust, dirt, water and corrosive liquids.